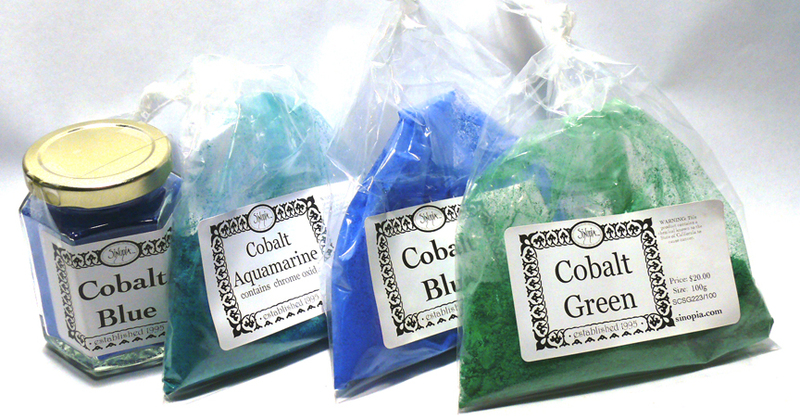 Cobalt Pigments hold an important role in the modern palette. They emulate many of the more expensive historical blue shades such as Azurites and Lapis Pigments. Additionally, they form an integral part in the modern fresco palette with their lightfastness and resistance to fresco lime and plaster.